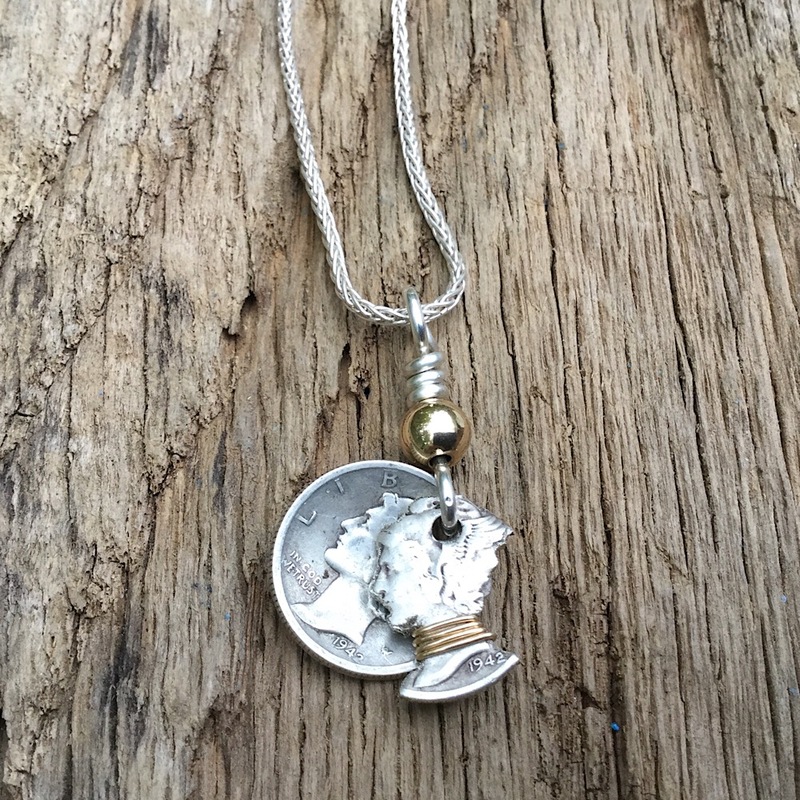 Mercury Dime Necklace, Freedom of thought necklace, Silver dime necklace, Carved dime Necklace, Handmade Dime Necklace, Old coin necklace. 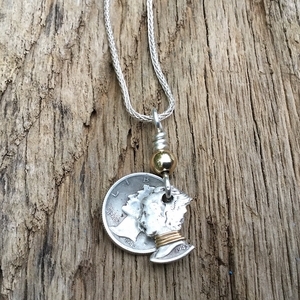 Authentic Mercury Dimes, one has been cupped and one carved to create a 3-D look with a sterling silver wheat chain. This one of kind necklace is handmade in the USA by The Fun Company.